When it comes to attaining a muscular physique rapidly, most bodybuilders and athletes turn to steroid compounds. They always keep these compounds at the top of their list of muscle boosting supplements. It’s mainly because unlike other supplements, steroids can bring significant changes to your body within just a few weeks. You don’t need to wait several months before you can see changes in the shape of your body and muscles. In this post, we are going to talk about the steroids that you can use in your first steroid cycle. We will also talk about a reliable online steroid supplier that you can contact to buy these synthetic substances safely. But before that, let’s discuss some of the important things every first-time user should know about steroids. Steroids are man-made compounds derived from the natural body hormone Testosterone. Testosterone is the primary male hormone that takes the most significant role in developing muscle mass and other male characteristics. These compounds work by increasing the amount of Testosterone in the body. However, steroid compounds suppress the natural production of Testosterone in the body. This is why ‘Post Cycle Therapy’ or ‘PCT’ is a must after every steroid cycle. During PCT, supplements like Nolvadex, Clomid, etc are used to normalize the production body hormones quickly. How long does a Steroid Cycle usually last? The duration of a steroid cycle depends on your goals and the compounds you are using. Nevertheless, a cycle can last between 4-12 weeks. 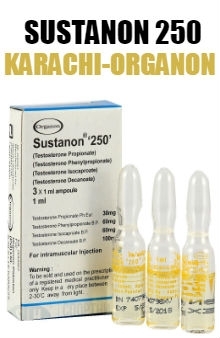 Many people believe that Testosterone is the best steroid to use in the first steroid cycle. Testosterone is available in several forms. But the forms of Testosterone that are recommended for the first steroid cycle are – Testosterone Enanthate, Testosterone Cypionate, Testosterone Propionate, etc. A Testosterone enanthate-only cycle usually lasts 10 weeks. A beginner can take 500 mg of Testosterone enanthate weekly. The recommended dosage of Testosterone is 300-500 mg per week. 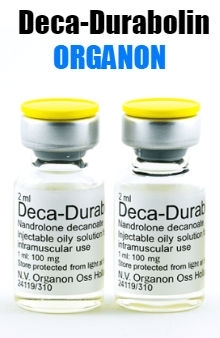 You can also stack other anabolic steroids, such as Dianabol, with Testosterone for achieving your goals much faster. Dianabol is another popular steroid compound that you can use in your first steroid cycle. A Dianabol-only cycle can help you develop muscle mass quickly. You can take 30 mg of Dianabol per day for 5-6 weeks. Winstrol is available in both oral and injectable form. You can experience steady muscle gains by using Winstrol. The best thing is that it does not convert to estrogen. You can take 50 mg of Winstrol per day for 5 weeks in a Winstrol only cycle. Now, if you are looking to buy any of the steroids mentioned above for your first steroid cycle, you can visit the website - steroidsftw.net. You will find all types of steroid compounds at their online shop. They offer safe payment and discreet delivery options. For more information, get in touch with their customer support team.